(0 Customer Reviews) | Write Review 12 issues per year OK! MAGAZINE IS THE WORLD’S MOST POWERFUL CELEBRITY MAGAZINE WITH OVER 50 MILLION READERS AND MORE THAN 20 INTERNATIONAL EDITIONS. OK! 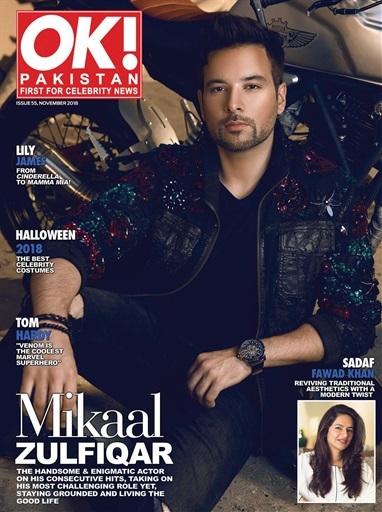 PAKISTAN AIMS TO REVOLUTIONIZE CELEBRITIES IN PAKISTAN AND IS THE COUNTRY’S LEADING INTERNATIONAL CELEBRITY, FASHION, AND LIFESTYLE MAGAZINE. Unfortunately OK Magazine Pakistan is not available in your country due to publisher restrictions. blockbuster superhero movie. Don't miss our compilation of the best Halloween Costumes of 2018. All this and much more! OK! MAGAZINE IS THE WORLD’S MOST POWERFUL CELEBRITY MAGAZINE WITH OVER 50 MILLION READERS AND MORE THAN 20 INTERNATIONAL EDITIONS. You'll receive 12 issues during a 1 year OK Magazine Pakistan magazine subscription. You'll receive 12 issues during a 1 year OK Magazine Pakistan magazine print subscription.